See the presentation on-line or choose download option below. This is the clickable presentation used in Gapminder Video #11. You can use this presentation when you lecture, showing it from start to finish or selecting from the different chapters. Produced in collaboration with NORAD (Norwegian Agency for Development Cooperation). Detta material är ju fantastiskt användbart för undervisning. Great presentation. 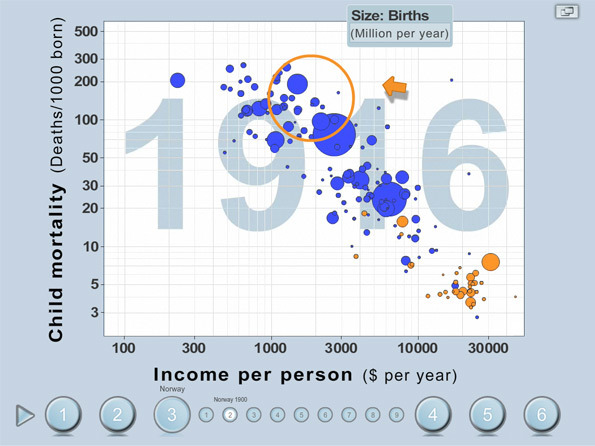 It’s show the power of the idea behind Gapminder. I like it! hey thanks for this it was really helpful to me and my class members. would help though if it would download so fix your site. thanks from kincoppalthe school on the hill,. I truly deeply appreciate your passion on our issue-solvings. Dear Laurel, you are right, that slide is not super obvious, there is obviously no direct correlation between the two. This presentation was made as presentation-tool, for a certain purpose, but without speaking notes that slide, by it self, makes no real sense. The slide is just meant to show two global trends in the fight against child mortality, bed nets to fight malaria and immunization to fight measles. It builds on the slide before about Tanzania that has lowered Child Mortality the last years by higher health budget, bed nets and immunization. After talking about that we thought it would be a good idea to show the global trends on these areas. We will see if we can make that more obvious. Thanks for quick review and enthusiastic efforts for the abandoned children. As for me, I am also a father of two children.